The United Kingdom has produced some of the best superstars in WWE history including the likes of William Regal, The British Bulldog, Dynamite Kid, Neville, Fit Finlay, Finn Balor, Wade Barrett, and Drew McIntyre. However, there have been no British WWE Champions still but UK fans are certainly hoping for it to finally happen in the next five years or so. 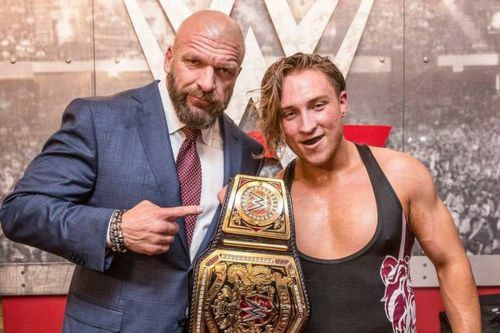 With the booming popularity of wrestling in the UK, the WWE launched the NXT UK brand with Johnny Saint as General Manager earlier this year. Triple H has been very hands-on with the division knowing that the future of the WWE is at stake. And just like in NXT, there will be NXT UK stars who are going to get called up to the main roster. There is no chance of failure but with the talent pool it has, the brand will surely produce a big name that every fans around the world. Without further ado, here the five NXT UK stars who will succeed on the main roster. The youngest superstar on this list at 21 years old, Tyler Bate comes in at number five on our list of NXT UK stars who will succeed on the main roster. Bate is the first-ever United Kingdom Champion, winning the championship tournament by defeating the likes of Tucker, Jordan Devlin, Wolfgang, and Pete Dunne. With just his wrestling ability alone, Bate would be a great success on the main roster. However, he is only 5'7" and he could be sent to 205 Live to become the face of the Cruiserweight Division. Bate could easily take over the Cruiserweight Division and become the next king after Neville. He can also play the role of heel and babyface, showing his versatility. After conquering 205 Live, Bate can easily transition into a top talent in the upper midcard of the main roster.